The GameCube's WaveBird will always be the ideal and quintessential device needed to play a Super Smash Bros. game. However, unlike the Wii U version, the Nintendo 3DS will not grant access to the comfortably designed controller, and you'll be forced to play using only its on deck buttons. Who knows? In the months between the Nintendo 3DS and Wii U releases of Super Smash Bros., you might get really good at using them and not want to change back! Nintendo has you covered with Kyle McLain confirming on Twitter that the Nintendo 3DS can be connected to the Wii U and used as a controller! It's like the Game Boy Advance and GameCube all over again! It's nice to see Nintendo jumping aboard something that resembles cross play and the connection of its handheld devices with its consoles. It pioneered the idea for many years, but had lost ground to Sony and the PS Vita only recently. This is a move in the right direction for the Nintendo 3DS, and unlike Sony, Nintendo still releases top quality games for its handheld. 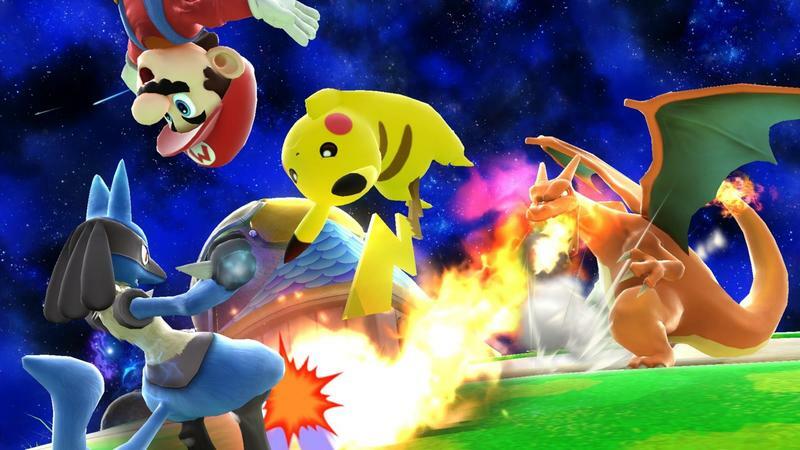 Super Smash Bros. will be released for the Nintendo 3DS on October 3rd. The Wii U version will be released on an unannounced date late his holiday season.